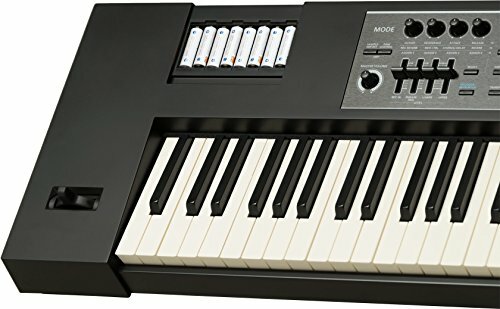 What Is the Roland Juno DS88? Who Is this Synthesizer Designed for? 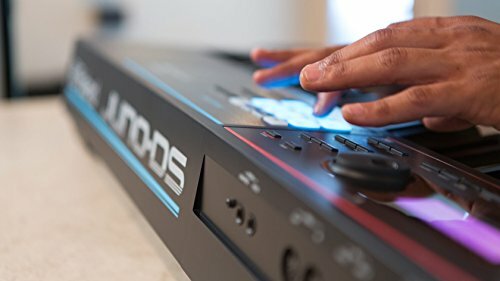 Conclusion: Should You Buy the Roland Juno DS88? 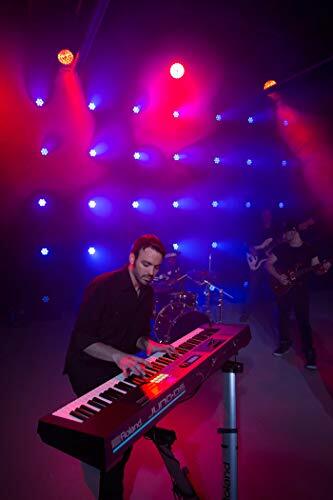 Roland Corporation was founded in 1972 and since then has been carefully and meticulously producing high-quality musical instruments that positively affect popular music. They are known for having a huge impact on electronic music and for producing some of the most reliable, durable synthesizers in the world. 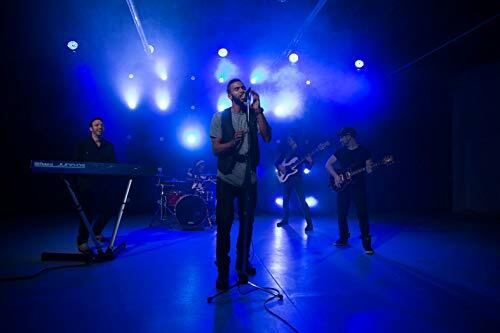 By marketing their products under a number of different brands, Roland Corporation is able to reach specific niches, ensuring that musicians can easily find the equipment that will best suit their needs. The Roland Juno DS88 is one of Roland’s line of JUNO synths. 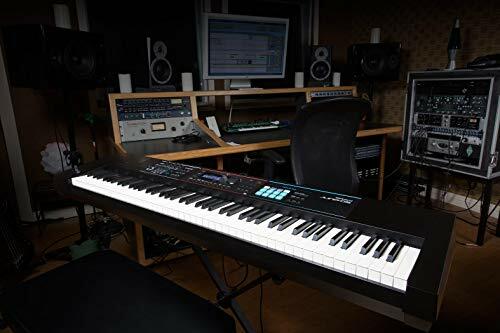 These are very popular synthesizers due to how great they sound, how easily they can be used by most musicians, and the great value that they offer. 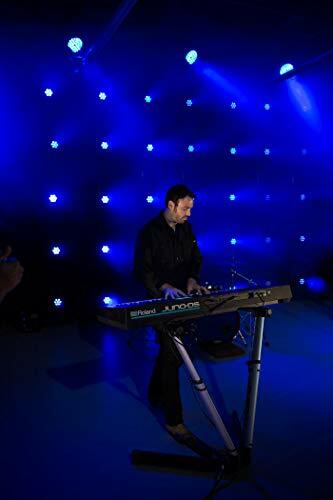 The Roland Juno DS88 is also available with 61 keys but to make the most of your purchase and to really get a lot of use out of your new equipment, the 88-key version is a great option. It is an intuitive, creative instrument that puts the user in command. 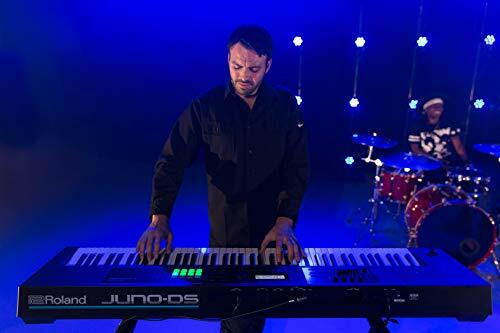 Because it’s loaded with great features that make playing and creating new music easier than ever, the Roland Juno DS88 is ideal for producing standout music no matter where you are going to play. The clean, simple layout of the Roland Juno DS88 is really appealing to new and intermediate musicians who may not have a lot of experience using synthesizers and need equipment that will be intuitive and easier to use. 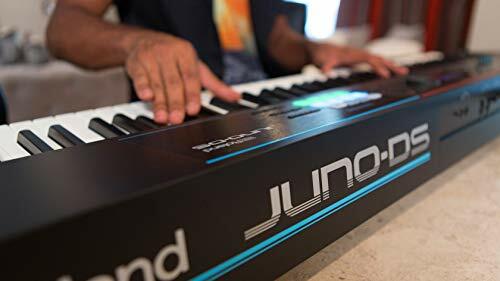 For that reason, the Juno DS88 is perfectly suited for most musicians regardless of their skill level or how much practice they have with using synthesizers. It is a little more expensive than some other options on the market but you are paying for quality and for exceptional features that really set it apart. 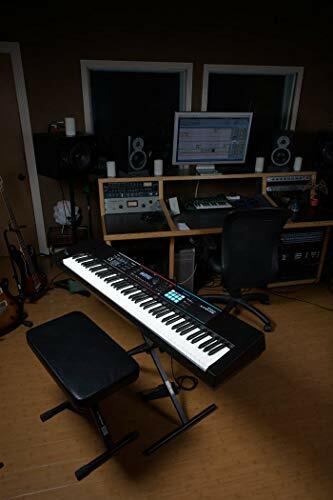 Any musician who is able to afford the higher price tag will appreciate that he or she can take the Roland Juno DS88 gigging, use it for studio work and recording, and even practice with a band without any problems. The lightweight design makes it ideal for taking on the road. The Roland Juno DS88 does not ship as a kit, which means that you will need to buy some additional accessories in order to get the best use out of this piece of equipment. 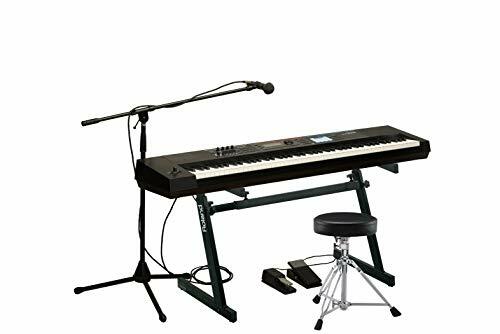 While it can be plugged in and played right away, if you want to get the most use from your new Juno DS88, you will want to invest in a stand, seat, and pedals. Additionally, it’s a good idea to have on hand a great pair of headphones for private practice and a computer with quality music editing software so that you can edit and control your sounds. The wave expansion slot is a great feature that makes it incredibly easy for musicians to add new sounds. This capability provides access to more than 1000 free EXP sounds that can be downloaded from Roland’s Axial website. Additionally, musicians can upload WAV files and play them. The microphone input on the Juno DS88 is perfect for singers and soloists. 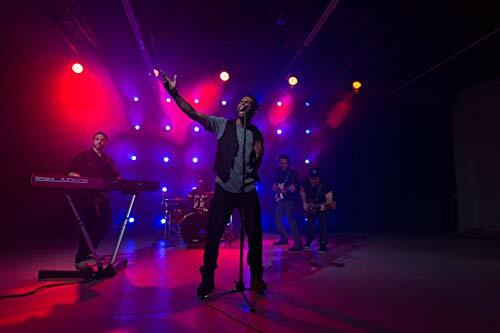 Not only is there a dedicated vocal reverb option to add ambiance to a voice but it’s easy to use the vocoder to control pitch and tone and the Auto-Pitch to control other effects. While the Roland Juno DS88 is easy to use, the screen is smaller than on other models, which can be difficult for some users to see easily. This doesn’t stand in the way of most people producing great music but is something that should be noted, especially if you have vision problems or struggle with seeing smaller screens. If the Roland Juno DS88 is a little expensive for you, then you may want to consider the Roland A-88. 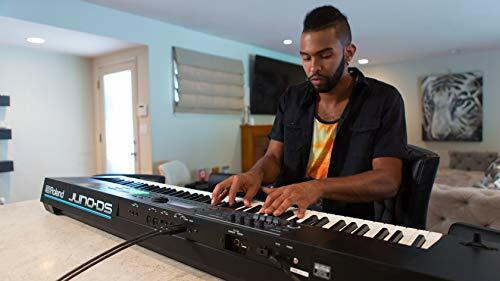 It is sold at a lower price but has fewer features and benefits, which means that it is definitely geared more towards a beginner than a more advanced musician. This is a great starter instrument but as musicians improve their skills, they will likely want to invest in a higher-quality piece of equipment in the future. A great option for musicians looking for more power and control over their sound is the Nord Piano 3. This powerful 88-key synth offers one GB of sample memory as well as an impressive OLED display so that users can easily track their music and creation. Additionally, the virtual hammer action technology is top of the line and sure to impress even the pickiest musician. If you are in the market for a great synth and want one that is user-friendly but will allow you to be as creative as possible, then you may want to consider the Roland Juno DS88. 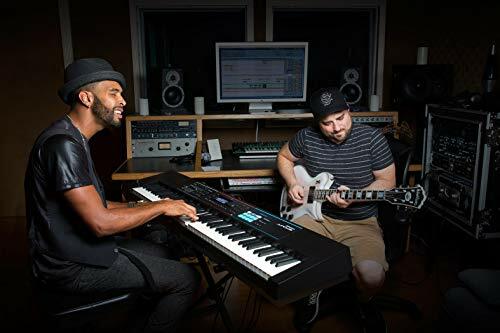 This powerful synthesizer is designed to make it easy for musicians to create new sounds and music and is a great instrument for most musicians and situations.